This team is too lean to deliver a US$10 million soft cap. Where are the advisors? I'm willing to revise this rating if the team responds. 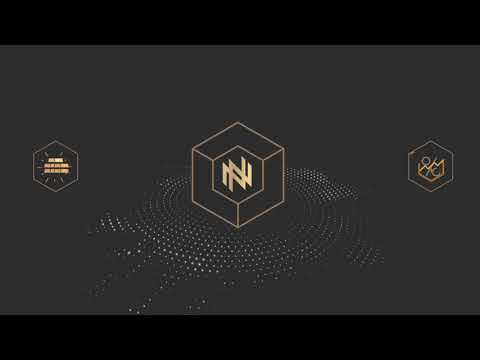 InnovaMinex - is an operating company that currently has working mines (you can find detailed information https://innovaminex.com/minex/). We can hardly be called "too lean" - we do not just designate the figure that we like and call it Soft Cap - we set ourselves a goal, focusing on our experience and knowledge in this area. We are still developing our community and advisors team. We will add our new advisors as soon as they will join the project (we are currently negotiating with several advisors). But we don’t want to just pay money to people who have some weight in the crypto community in order to simply place their photo on the website - we will add to our team only those people that bring the value, stream, synergy and purpose to our project. It seems to us that this is the right approach, which will allow our project to become successful and we do not plan to change it. Team is Strong and Very Experienced but I find lack of Developers on the team other wise everything is good. I found the vision is very Interesting working on Precious Metal industry is very big No doubt About it but I don't Find any Kind of MVP. I found a Website where you can buy or sell Gold bars and others looking forward to see team Progress in Future. commercialization is done through our e-commerce, partner stores and our own ATMs. InnovaMinex will give buyers the opportunity to verify the origin of the metal that they acquire. Buyers will be able to obtain assurances that the extraction of metal is legal, that the environment has been protected, and that transactions can not be used for money laundering. All are registered and the whole community has access to them. This is good process who are the partners ? a) In the gold mining sector (the "minex" part). b) In the cryptoeconomics field (the "innova" part). All the members of the team are professionals capable of getting the project to achieve the best results. a) Lucrative: It is gold and other precious metals. Always profitable. - Always in fashion, it never goes out of style. - It is interesting for ALL pockets (by buying with INX, gold is purchased at a more affordable price for all profiles). c) Socially ecological: we care about maintaining and improving the quality of the environment of the place where it is generated. We support crop initiatives proposed by the communities where the deposits are located. d) Socially responsible: we watch over the rights of the people who exploit the mines, take care of their professional growth and of the good development of their families. It is a product with which we intend to help many people (clients and workers) to get into the welfare society. I like the idea and it makes sense as it's a perfect use case for taking full advantage of blockchain technology. I am not convinced of the business model nor about the team experience to execute this project as there are too many moving parts: E-Commerce Platform, ATMs, Supply Chain Management, etc. Each of the above can be a separate project by design; The vision to link up all these services and provide a full service marketplace is outstanding.